I've taught acting, voice, and musical theater to children, teens, and adults in the US and abroad since 2006 and my students are working professionally! I also direct musical theater productions, and can help raise you to the talent level casting directors expect at auditions. My Masters degree training has afforded me the opportunity to be well versed in effective vocal techniques that will help you book. My main goal is to help you to develop your own set of tools, and better understand your unique voice as an artist. Make sure to wear clothing you can move in during our sessions, and, most importantly, explore and just have fun! Toya delivers an exceptional lesson experience and ranks in the top 15% of our teachers nationwide. I currently work professionally as an actor, singer, and TV and radio host. I've been fortunate enough to work in film, TV, theater, musical theater, hosting, commercials, improv, and voice-overs. I am also a vocally trained mezzo-soprano. Because I am still a working artist, I can not only teach you craft, but can assist you in making the right choices to navigate your own way in the business. I offer private coaching to actors in theater and film, and singers in the US and abroad. I would love to share my knowledge and experience with you. The Actors Studio was formed in 1947 in New York City to provide a place where professional actors could work together between jobs, or during long runs to continue to develop their craft and to experiment with new forms in creative theatre work. In 1967 the Actors Studio opened its only branch in West Hollywood, California. Membership provides a place for theatre artists to advance their craft and talents. For more than sixty years The Actors Studio has lived a very rich artistic existence and will endure as long as talent needs a home. 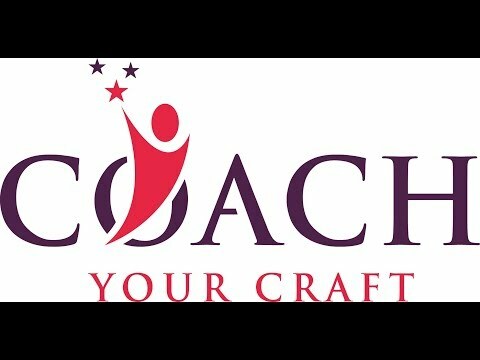 Watch and find out more about Coach Your Craft, CYC, an acting and voice coaching company founded by actor and singer, Toya Nash. Toya Nash was interviewed on NBC to discuss her life in the arts, and to discuss her acting and voice coaching company. I absolutely love Toya!. She pushed me out of my comfort zone which has greatly helped me as an actor. I’m more confident and relaxed. If you want to work with a professional who knows exactly what she’s doing and knows exactly how to get you where you wanna go, then Toya Nash is the person for you. Toya was great. She really connected with our daughter and motivated her to give it her all. Toya rocks! My daughter has learned so much from Toya since she started getting lessons from her. She is pretty flexible if you have to reschedule she's willing to work with you and your schedule as well as her own. My daughter has nothing but good to say about Toya and the fun she has with her all while learning too. She really enjoys her acting lessons and loves Toya. In a just a few weeks of taking lessons with Toya, I saw the biggest improvement in my voice. She's amazing! Toya is great. She focuses on the goals that you would like your child to accomplish and customizes the lessons to achieve it. I really enjoyed my first lesson. Toya is very competent, highly skilled, and professional. She is also very kind and patient. I look forward to continuing to work with her! Had a great first session with Toya. Very excited to continue our work together. Toya, offers a lot of concrete suggestions to help her students achieve their goals. Her acting experience and business skills are invaluable. Toya is experienced and extremely motivating to work with. Toya is such an awesome and fun acting coach to work with. She is wonderful to work with and truly would recommend her to anyone who is interested in or needing acting lessons! I do. I would recommend her for anyone who is serious about acting.